It is possible to control fire ants organically. Gardeners and homeowners have a few organic treatment options that are quite effective. Many of these contain the active ingredient spinosad. Spinosad is a biopesticide produced through commercial culture of a soil-born microbe that produces metabolites toxic to certain insects. These metabolites are harvested and formulated into insecticide, so the final product contains no living microbes. But note that not all products that contain spinosad are completely organic; some contain non-organic inert ingredients. Spinosad products approved for organic production usually indicate so on the label. Organic fire ant control products containing spinosad are available as baits and as liquid drenches. Organic Fire Ant Baits: Most organic fire ant baits contain spinosad as the active ingredient. Come and Get It Fire Ant Killer and Payback Fire Ant Bait are two examples. Baits are best used by broadcasting them over the entire yard according to label directions. Spinosad-based fire ant baits are relatively fast-acting and should give results within two to three weeks. Depending on where you live and the level of control you expect, you may need to treat two to three times per year. See the section on Granular Baits and Tips on Using Baits for more information on how to use and apply fire ant baits. 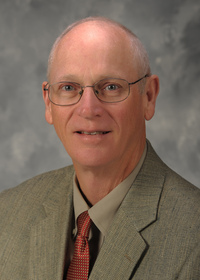 See Fire Ant Biology to gain a better understanding of how and why fire ant baits work. 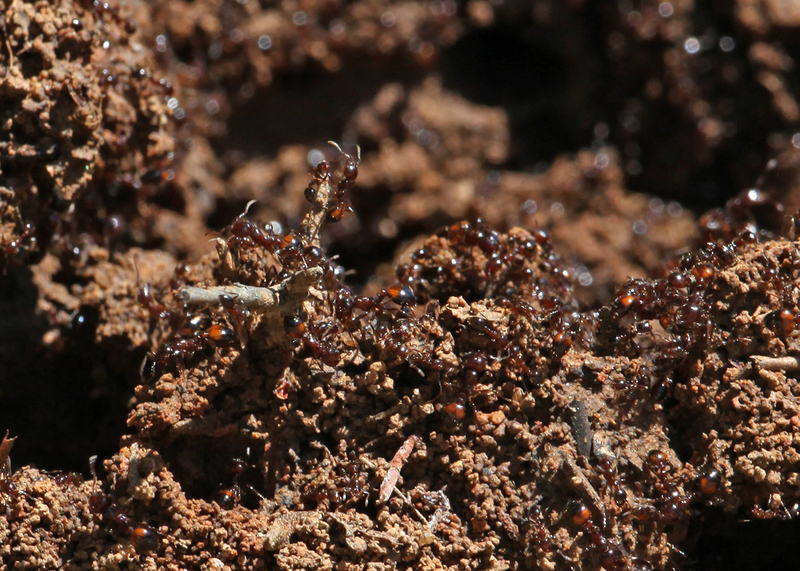 Organic Mound Drenches for Fire Ants: There are several organic insecticides labeled for use as fire ant mound drenches. The most common contain spinosad or d-limonene. 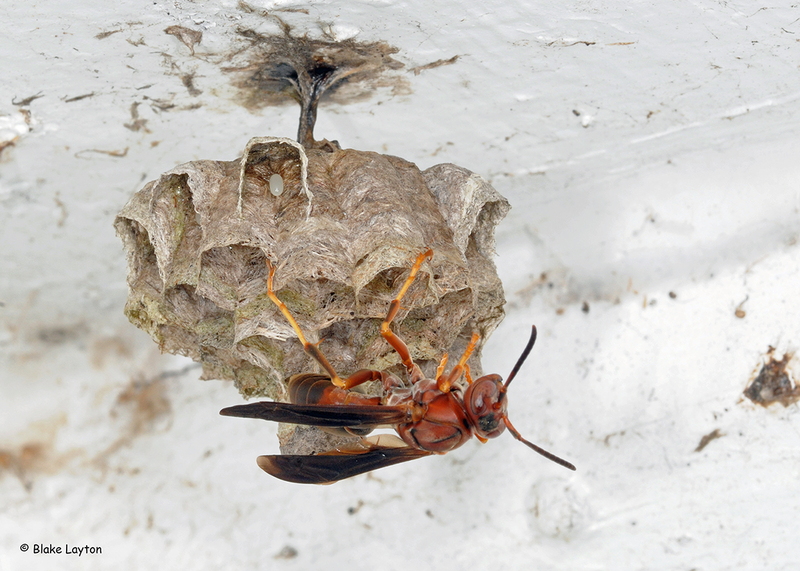 Two examples of liquid spinosad products are Monterey Garden Insect Spray and Ferti-Lome Borer, Bagworm, Leafminer, and Tent Caterpillar Spray. These products are used primarily to control caterpillar pests in home gardens and landscapes, but they also have directions for use as mound drenches for fire ants. D-limonene is an extract of citrus peels that has contact activity on certain insect pests, including fire ants. 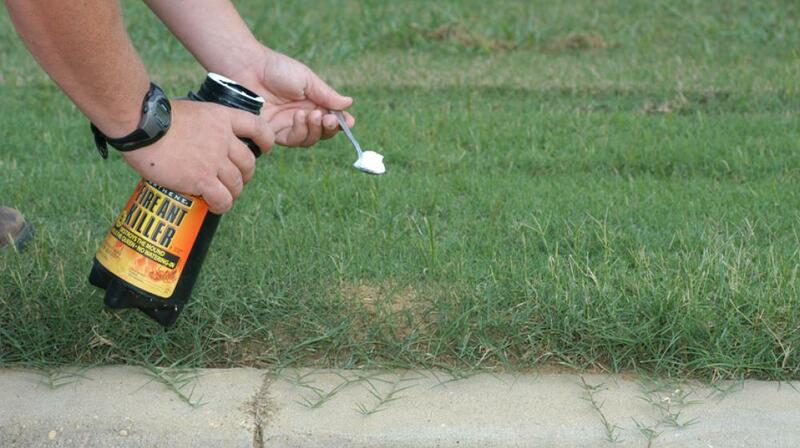 Orange Guard Fire Ant Control is an example of a mound drench product containing d-limonene. This product can damage grass when applied in undiluted form, and control cost per mound is relatively high. Apply mound drenches by mixing the specified amount of insecticide per gallon of water and drenching the fire ant mound. The ants are killed by contact activity. The amount of drench needed depends on the size of the mound. One gallon is sufficient for small mounds, but two gallons or more may be needed for large mounds. Use a watering can, or similar container, to mix and apply the drench according to label directions. Do not disturb the mound before drenching. Be sure to use enough drench volume. Not using enough drench to thoroughly soak the mound is the main reason for control failures with mound drenches. 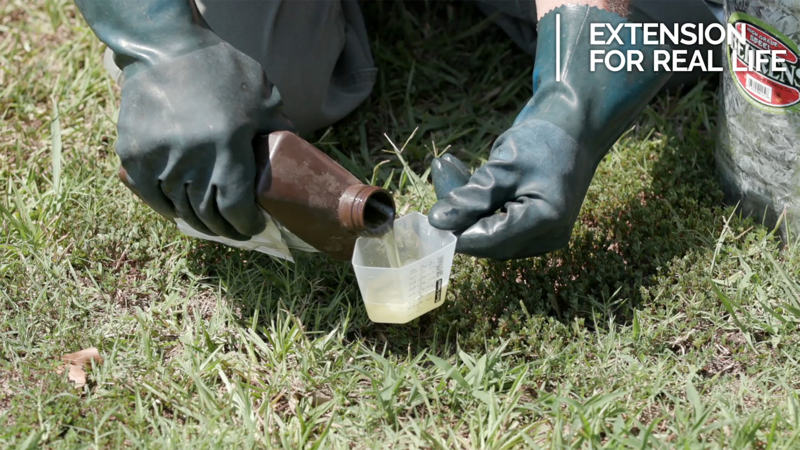 Use Both Baits and Drenches: One of the most effective ways to control fire ants with these organic treatments is to use the baits as the foundation of your control program and use liquid drenches to spot treat mounds that survive the bait treatments or that ‘pop up' between bait treatments.